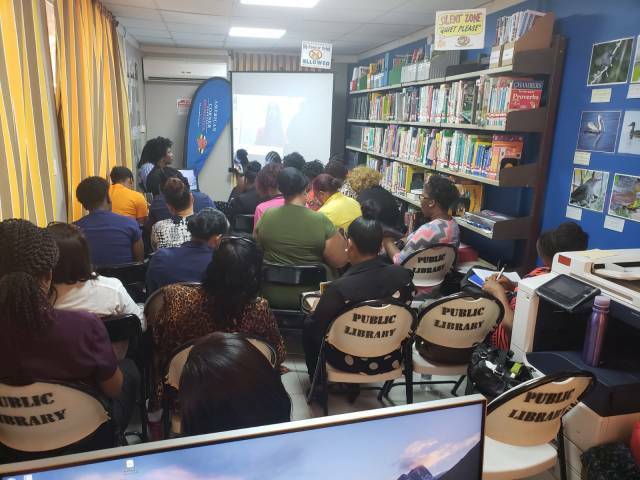 American Corner coordinator, Renita Charles, hosted a Women’s Entrepreneurship Workshop, under the theme ‘Developing Your Business Goals and Negotiating the Best Deal’. The workshop was held on Mar. 26, 2019 at The American Corner and was well attended by 35 women. One attendee, Gerda Bedminister informed DA Vibes that the workshop was very informative. “The main topic I benefited from was the purpose of having a mission statement. I think everybody left satisfied with the information presented to us young women who want to start a business”. Charles said that the mandate of this workshop was to advise female entrepreneurs and women who are planning to start their own business.